Design your own sofa with our simple and intuitive online platform. Choose your style from Arm Chair, Sofa Chaise, Modular and Recliner. This Coffee Table is uniquely designed with a luxurious Chesterfield pattern. The great shape and innovative structuring make this coffee table a wonderful addition to your home. If you're out there to make a statement, this is the Coffee Table for you. Most suited to contemporary modern day living. Coffee Tables Come in Pre-Set dimensions. No Customisation is available. Enjoy a cut above the rest - sumptuous leather in multiple timeless shades, available exclusively through us. If you have any specific colour request feel free to contact us for assistance. Beautifully fine top-grain leather in multiple colours. Whether it's classic cream or rich plum, we've got your ideal lounge covered. 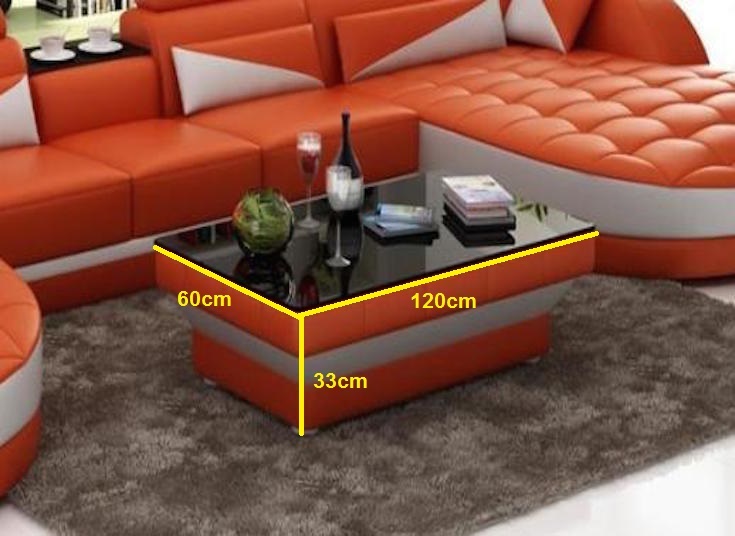 Description - customisation Coffee Tables Come in Pre-Set dimensions. No Customisation is available. Inner layer of plastic sheeting. Stringent quality control, beautifully handfrafted - bespoke made furniture. All our sofa pieces are individually handcrafted and custom made for high levels of quality and perfection. 1 year warranty on entire sofa for any defects, extendable for up to 5 years. 7 day DOA guarantee, provides you a worry free purchase. Phone or email support - after sales services. Shipping costs are based on door to door service which includes having the item brought into your residence.